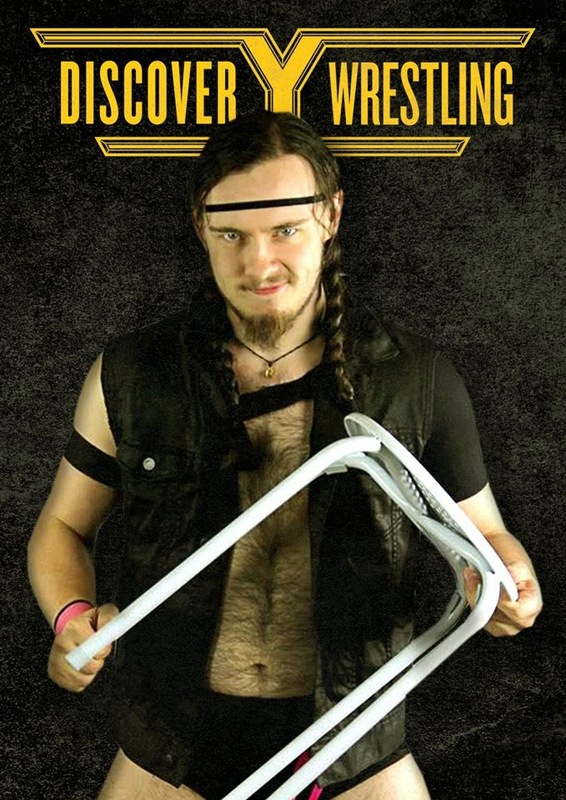 Discovery Wrestling is still the new kid on the block, having only had one show so far, they have already amassed a big following (over 2000 likes on Faceook) and have taken the wrestling scene in Scotland by storm. With every roster announcement they add some of the finest young talent and established names in professional wrestling. From Marty Scurll to Aspen Faith, Kay Lee Ray to Courtney, Liam Thomson to Christopher Saynt, Discovery Wrestling have such a great and deep roster which makes their Y Division sounds like a fantastic concept. Aspen Faith debuts 14th March in Edinburgh. In October, four men battled it out to become the top dog in the newly formed Y Division, on that night former TNA World Heavyweight Champion Chris Sabin outlasted Damien Daniels, Lewis Girvan and Ian Ambrose to claim that feat. In March, these four are all in semi-final action to crown the first Y Division Champion. Aspen Faith has also thrown his name into the goblet in the hopes to become Y Division Champion. Lou King Sharp, Martyn Stallyon, Noam Dar and Liam Thomson will also be looking on and hoping to make a splash in the Y Division. It's not just the Y Division that is looking so strong, the tag team division is primed and ready to do big things, The Traditionalists, Wild Lions plus Joe Hendry and Marty Scurll will soon be joined by a great up and coming team, The Gatecrashers, in March. With The Young Bucks coming to Edinburgh in April, there will be plenty of challengers ready for them. Indy favourites The Young Bucks will be in Edinburgh on 10th April. The Heavyweights in Discovery Wrestling are not to be scoffed at when you think of names like Damo O'Connor, Rampage Brown, Joe Coffey and Deviation. Big bruisers who could kill you with one look. Discovery Wrestling are putting together an all-round product that appeals to the masses. You want technical contests? Here's Noam Dar and Andy Wild. You want a highflying spectacle? Here's the Y Division. You want a knockdown drag out brawl? Here are the heavyweights. You want a bear? Here's Damo. And to round off a fantastic roster you have the ladies. Sammii Jayne, Viper, Lady Debbie Sharpe, Courtney, Shanna and Kay Lee Ray are in the top level when it comes to professional wrestling in Europe. When you have such a diverse range of styles, every match will be a little bit different and must see. Viper sends Sammi Jayne for a ride at No Fear, No Mercy. The guests brought in are there to work with Chris Sabin, Mike Mondo and Crime Time, no phoning in or payday grabbers. With Chris Sabin set to return this month and The Young Bucks coming in April, Discovery Wrestling are bringing in the hottest independent wrestlers in the world.